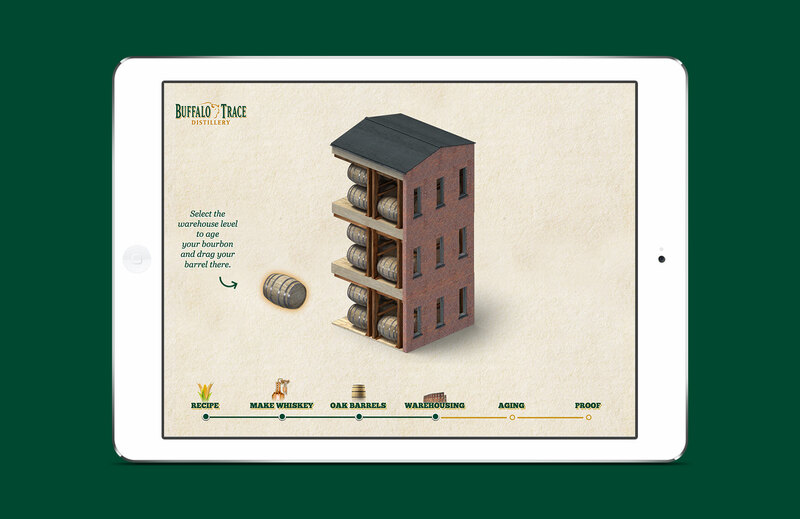 I collaborated with my team at Bajibot on this unique experience for Buffalo Trace from concept to execution. 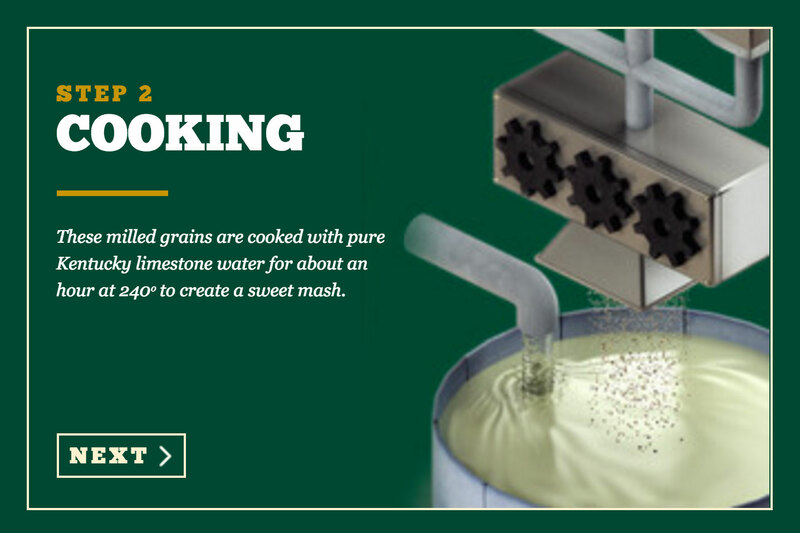 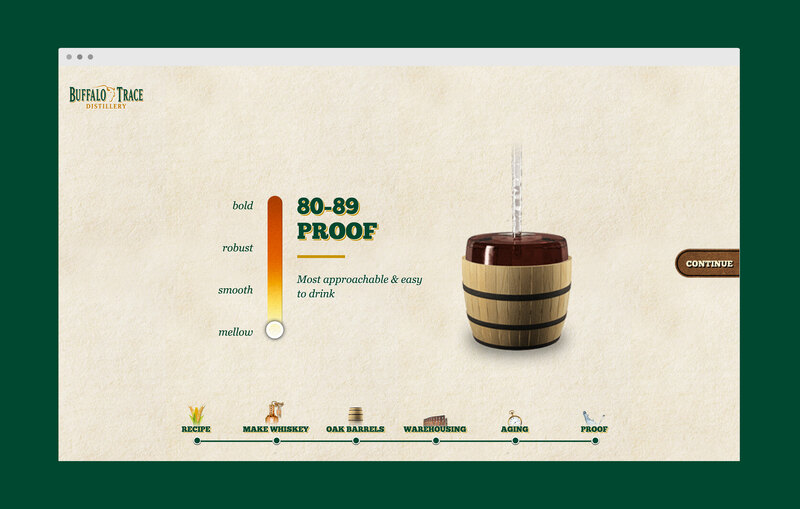 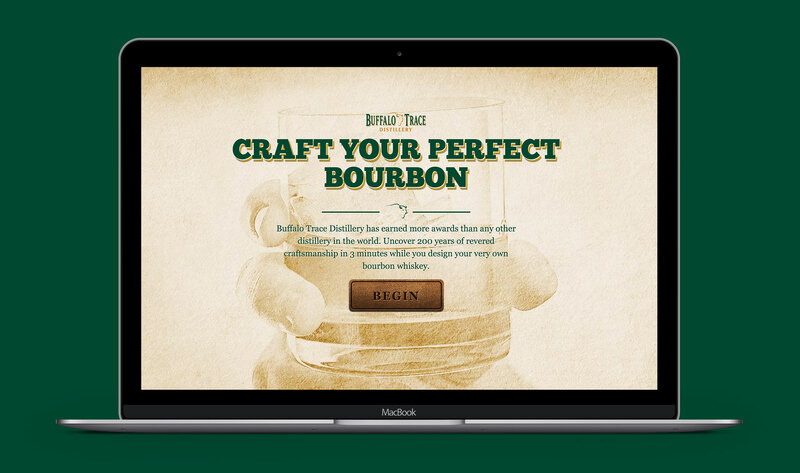 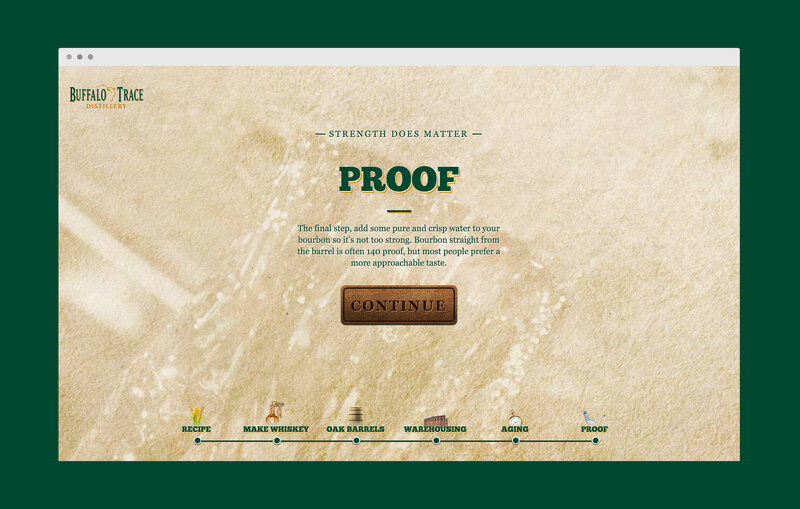 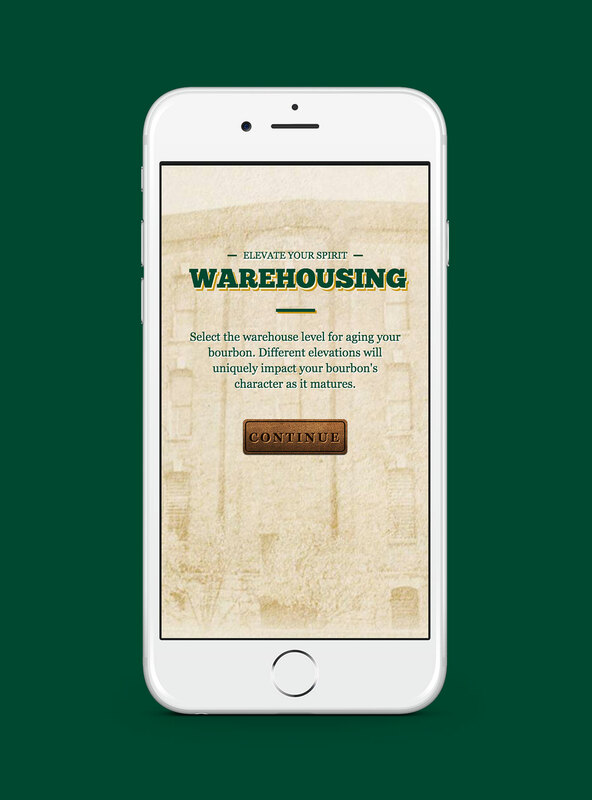 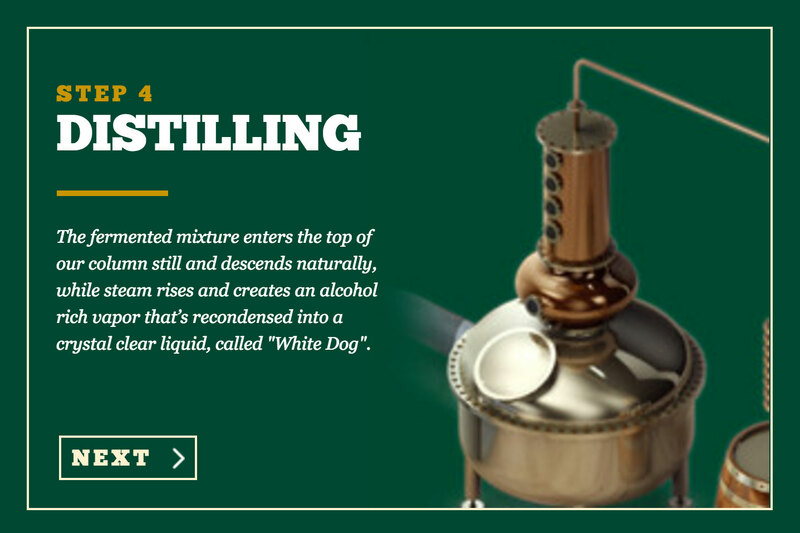 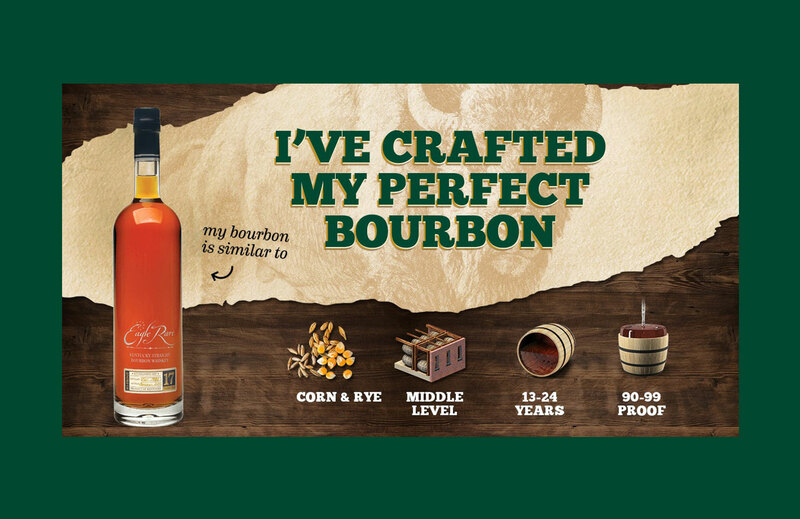 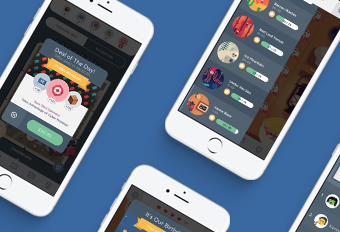 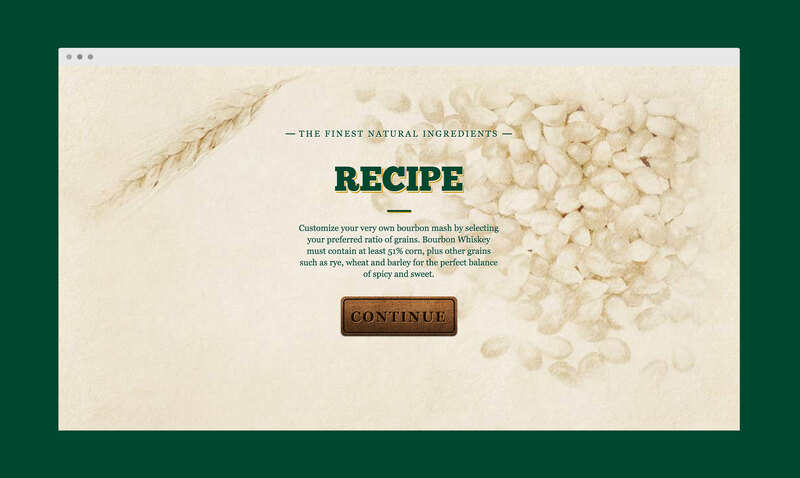 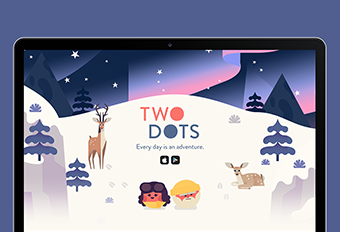 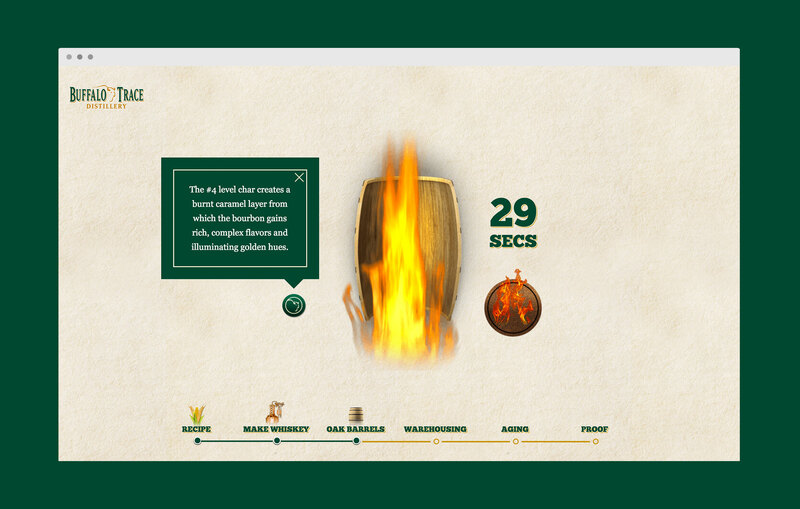 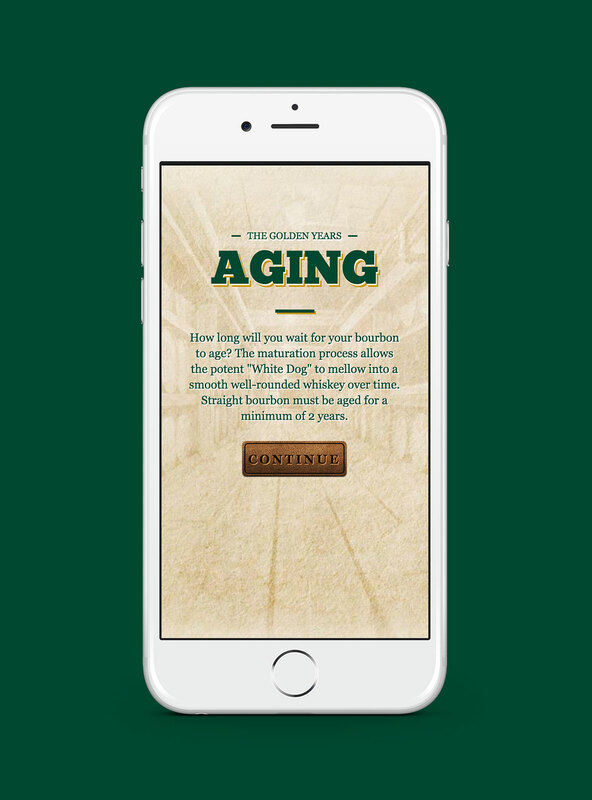 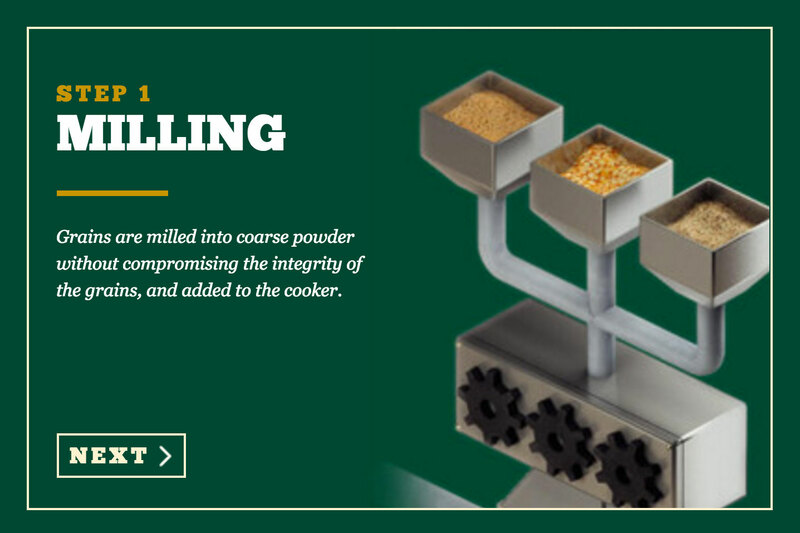 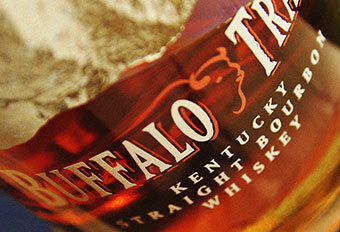 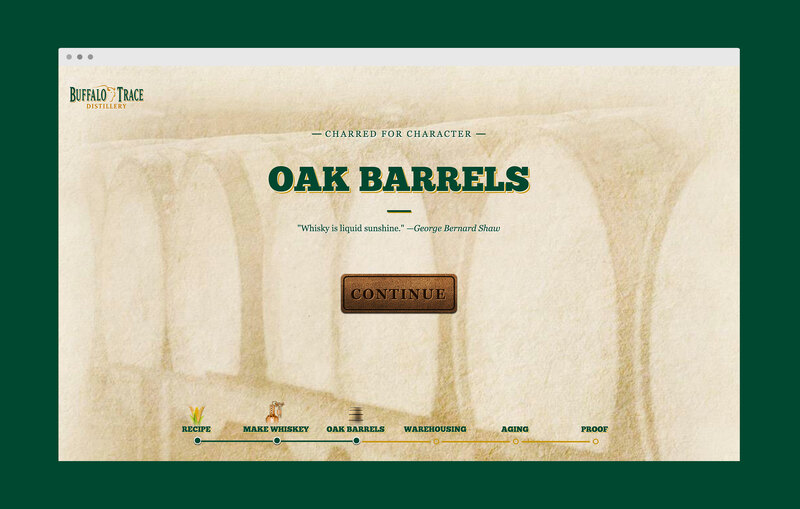 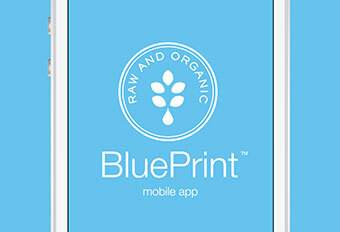 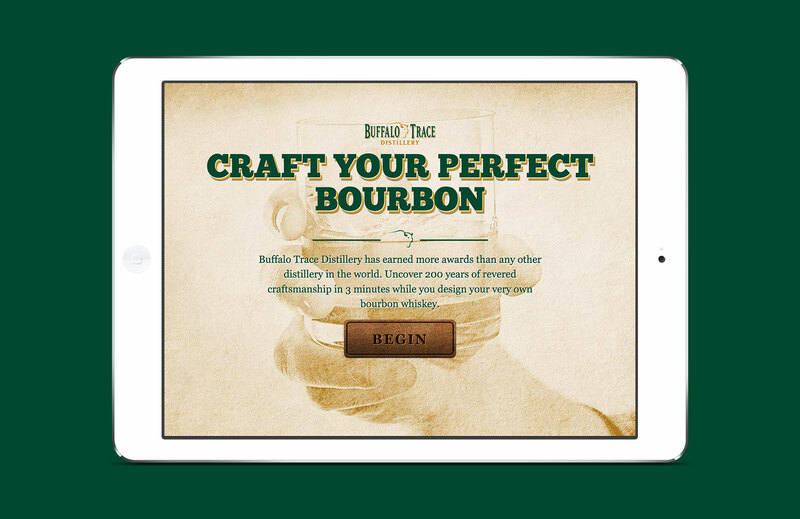 We created an experience for users to learn about the bourbon making process while crafting their own perfect bourbon. 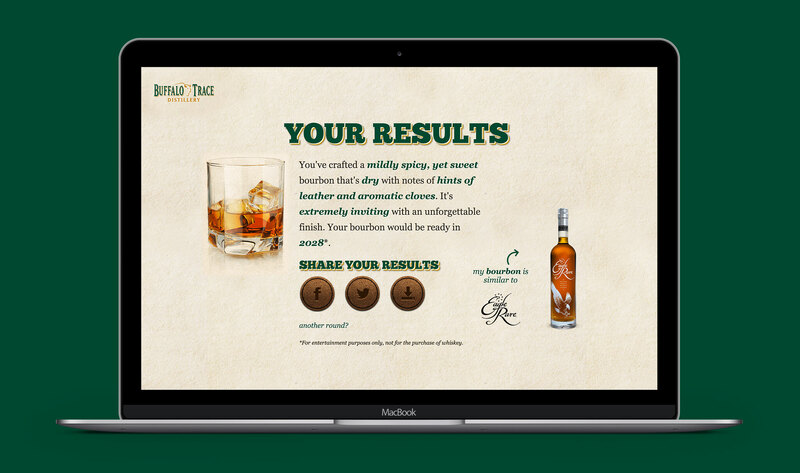 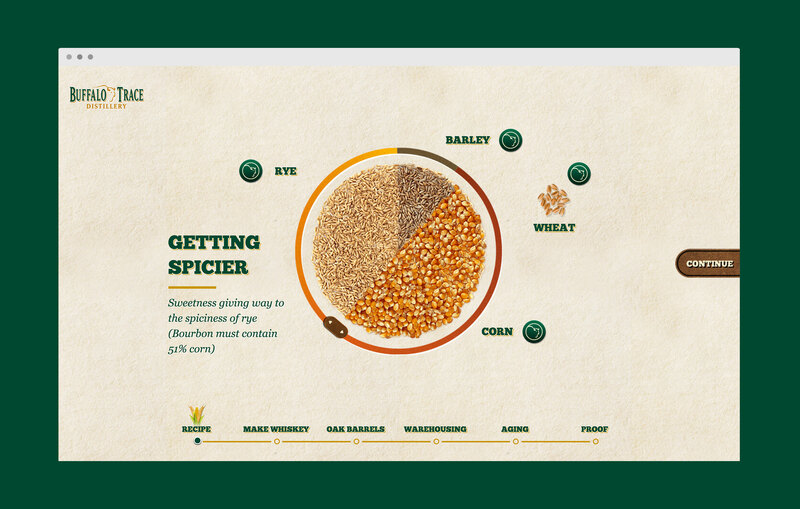 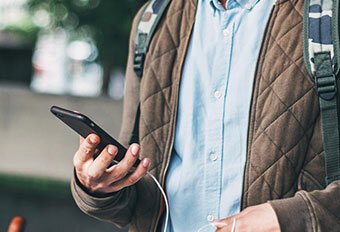 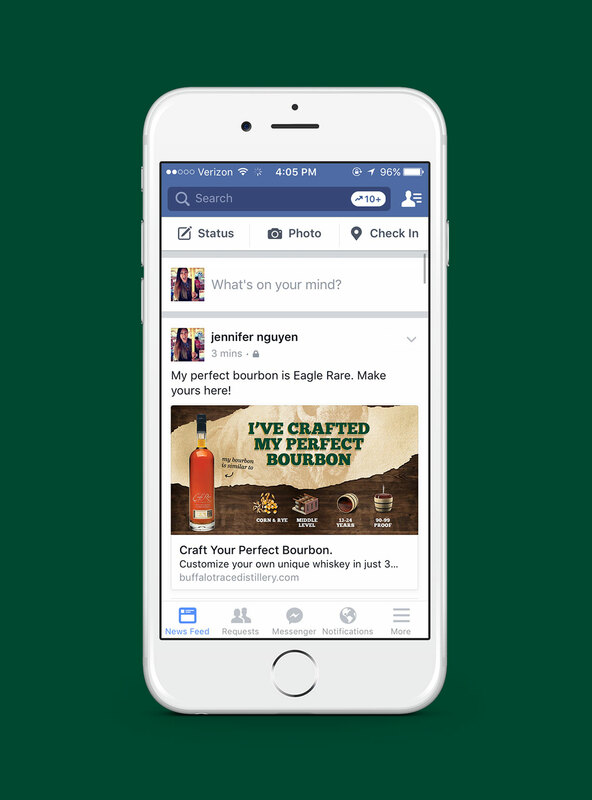 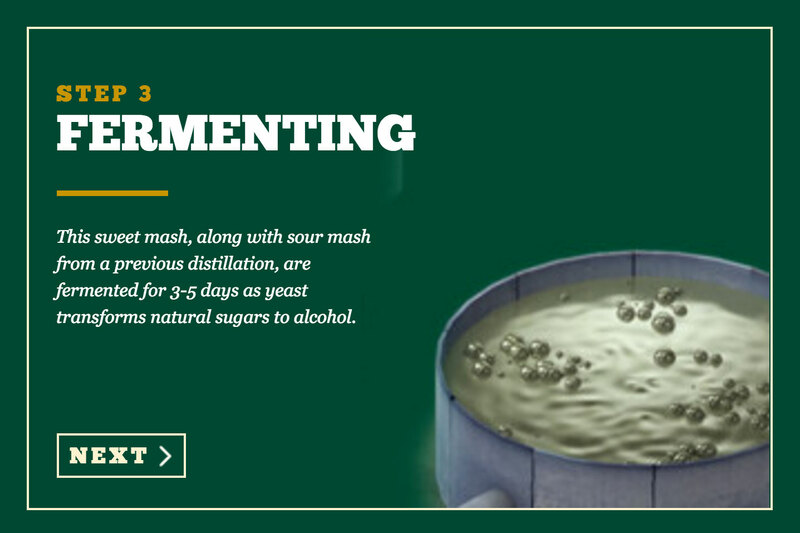 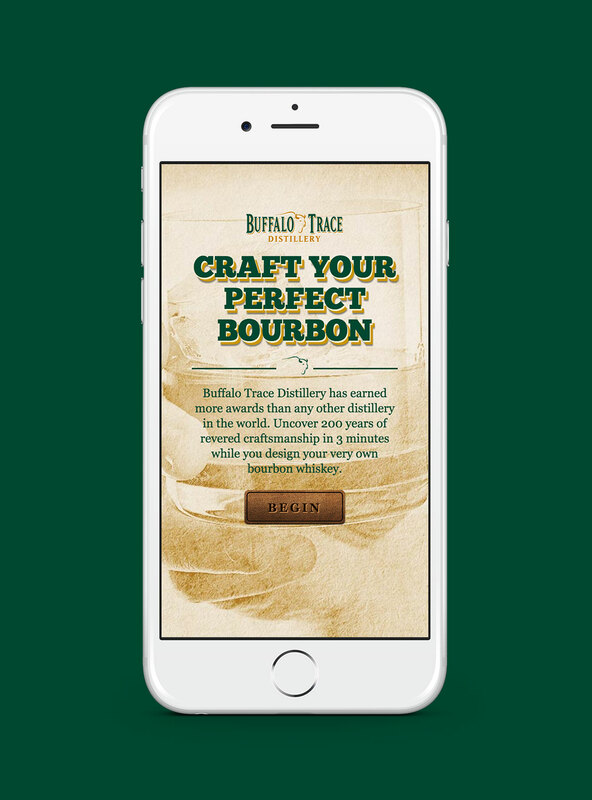 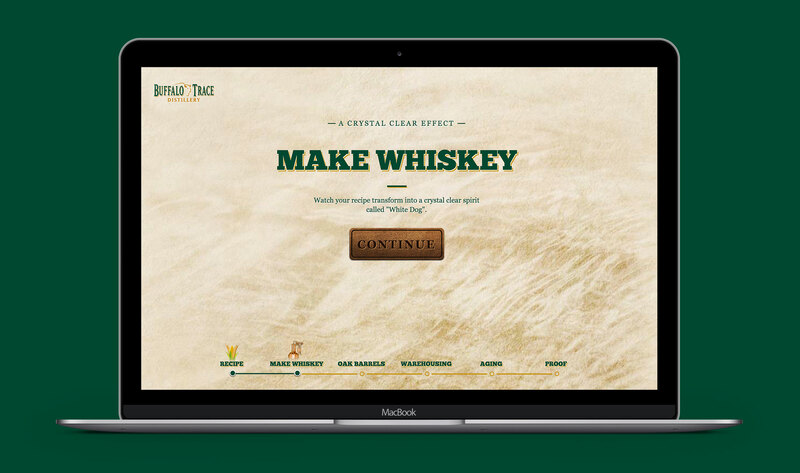 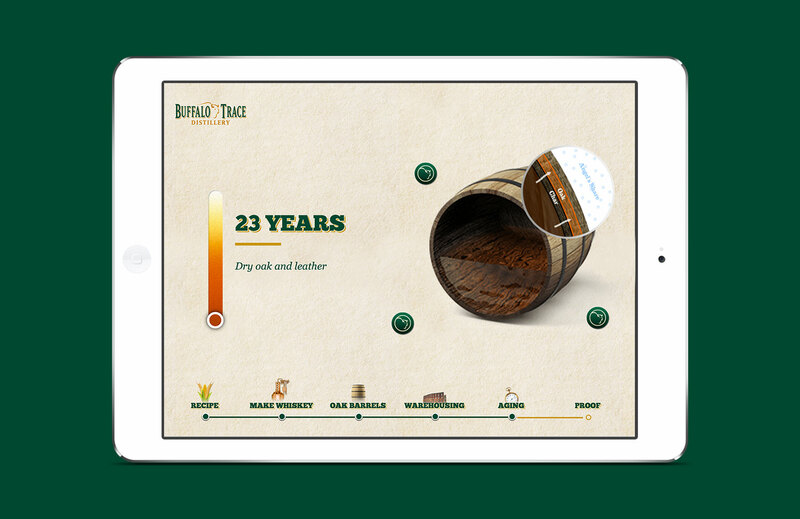 At the end of the experience, users are recommended a bourbon of similar recipe from the Buffalo Trace portfolio and can share their results on Facebook or Twitter.